This is a 1986 Mercedes-Benz 280GE in dove grey over a plaid Recaro interior. It’s equipped with a 2.8-liter, inline six, gasoline engine, mated to an automatic, 5-speed transmission. 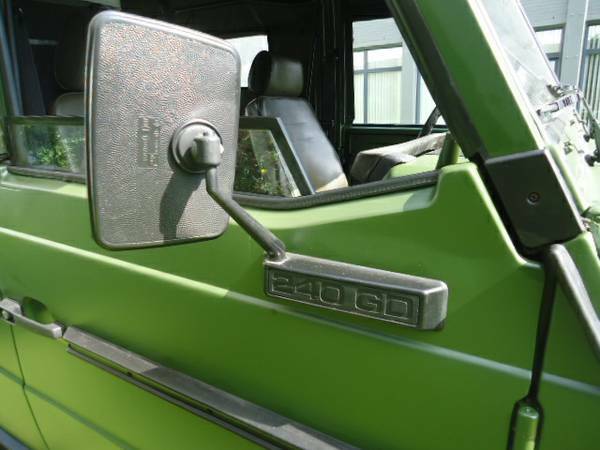 The 460-series G-wagen, of which this is one, was produced between 1979 and 1991, and was available with a variety of gas and diesel powertrain options. The 2.8-liter six was the most powerful of these, good for 156hp and 166 lb-ft of torque, according to Wikipedia. Space-saving, folding, jump seats can be found in the rear of the truck, making this 9-passenger vehicle. Other options include factory A/C and power windows. The original stereo has, unfortunately, been replaced. The odometer shows 32,384 miles. Given that these trucks have a five-digit odometer, however, it’ll take some sleuthing to verify that without corroborating service records. Original owner’s and service manuals are included. Perhaps there’s a clue there. 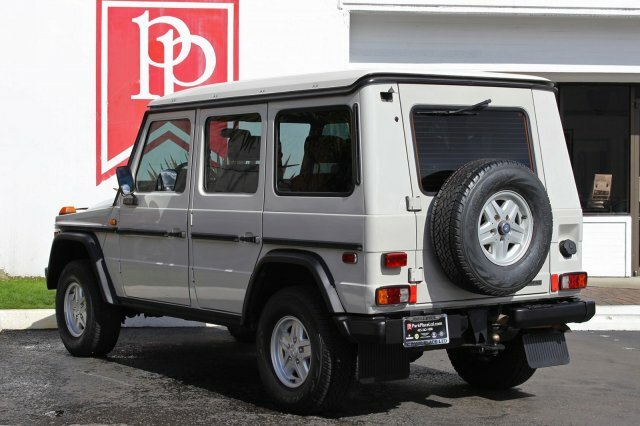 This 80s-era G-wagen is being offered for $34,950 and is located in Bellevue, Washington. Now $35k is pushing right up against used G500 money. 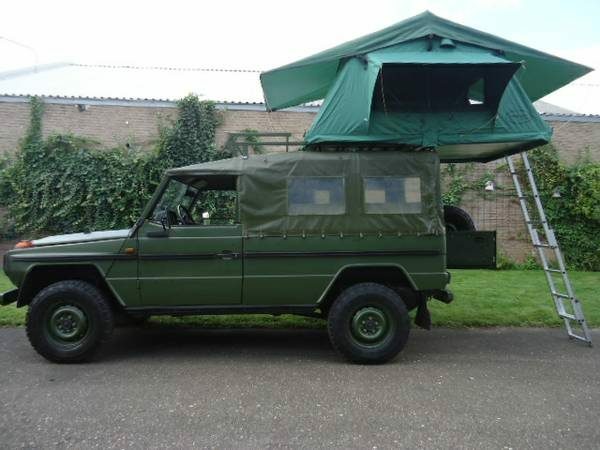 This one is more charming and, with its smaller wheels, more ready for off-road duty, than its newer brothers but you’ll be missing out front and rear heated seats. Don’t think you’re going to get better mileage though. Gas mileage for both the six and the eight-cylinder models is a pump-wrenching 12–14 mpg. More photos and the original ad text after the jump. If you haven’t seen this video yet, it’s really great. 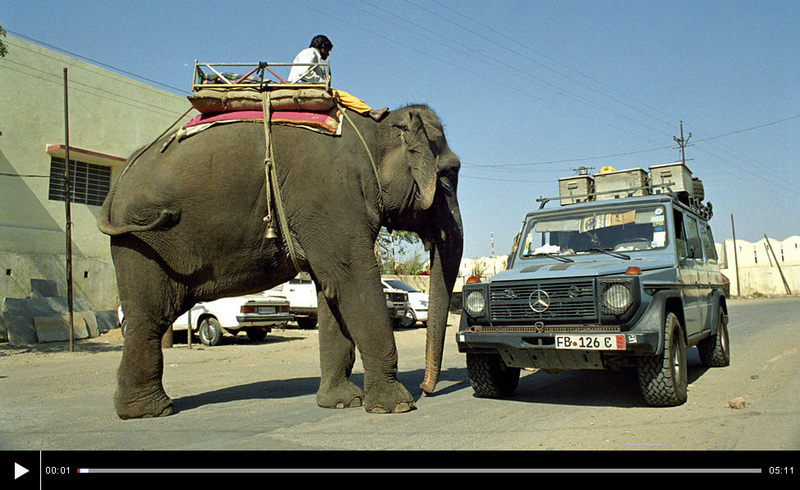 Gunther Holtorf set out with his wife from Germany in 1989 for a road trip. They just kept going. Since then he’s driven over 500,000 miles and visited countries all over the world, including the places one normally wouldn’t think of driving to, like North Korea and Iraq. He’s been on the road now for 23 years. To watch it, click the video still above or the BBC link below. In this video, the sometimes-informative-sometimes-cantankerous, South-African 4×4 expert, Andrew St. Pierre White, reviews the most basic Geländewagen variant, the G300 Professional. The only thing is — iiiirrrrck — he doesn’t take it off road. For that you need this guy. I don’t know who he his or what language he speaks (Czech?) but he wears funny boots and, more importantly, he gets his G300 dirty.